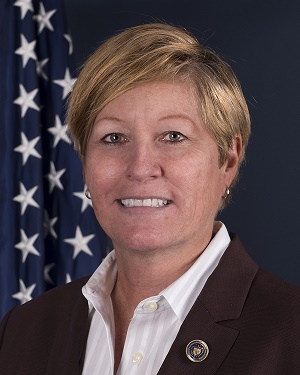 Ms. Snyder was appointed as the Special Agent in Charge (SAC) of the San Francisco Field Division for the Bureau of Alcohol, Tobacco, Firearms and Explosives, in October 2015. Ms. Snyder is responsible for the oversight of ATF Operations and criminal investigations in 18 offices across Central and Northern California and the State of Nevada. Ms. Snyder has more than 28 years of law enforcement experience and has held several leadership positions within the ATF. Prior to this assignment, she served as the Assistant Special Agent in Charge (ASAC) in the Miami Field Division. She directed and managed field operations and investigative activities for 10 criminal enforcement groups and over 150 Special Agents and Task Force Officers. Ms. Snyder led the San Diego Field Office as the Supervisory Agent in Charge (RAC) for thirteen years. In this capacity she managed special agents who conducted criminal investigations of violent gang members, firearms traffickers, and individuals who committed arson and explosive violations. Ms. Snyder held the position of Explosives Program Manager in Washington, DC, where she was responsible for all of ATF’s explosives training programs. Ms. Snyder began her career as a Special Agent in Miami, FL working complex firearms trafficking cases, violent crime and gang investigations, bombings, and arsons. She also served as a member of the National Response Team, and was a Certified Explosives Specialist. Ms. Snyder is a recipient of the Secretary of Treasury Award for her high degree of job proficiency and exemplary performance in conducting criminal investigation and has received two awards from the United States Attorney’s Office, Southern District of Florida, for Outstanding Law Enforcement Officer of the Year. She holds a Bachelor of Science degree in Criminology from the Florida State University.